How to run Facebook Ads for increasing Business or website traffic? In this post I will show you how to promote your product/website using Facebook network for increasing your traffic. 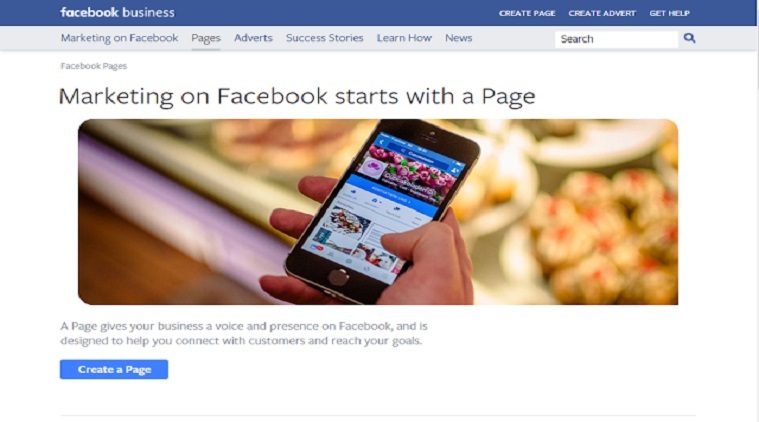 Firstly understand the concept of Facebook Advertising for how and where you can use this? A Page give your business a voice and presence on Network and is designed to help you connect with the customer and reach your goals. Using the ads you need your Fan/ Celebrity page. Every website owner or celebrity or anyone created their business pages. The celebrity or any business/ website owner can use page for Connecting /Marketing/Advertising/etc. 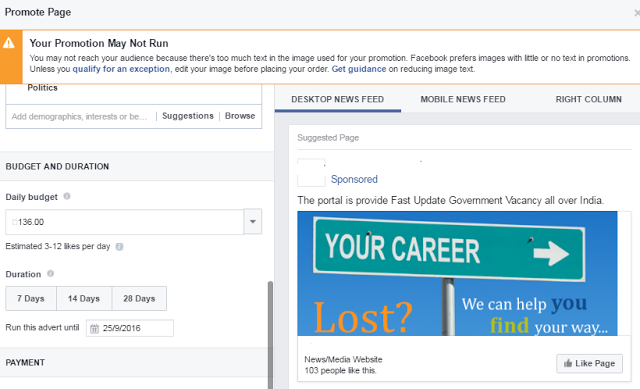 And Reach their content/product to more people and get updates of every post the page owner can share. Promote Page: This Button on Page has been provided to page owner to promote their page, you can run a campaign to Promote your page for More likes , may provide Budget for per day for how many likes for promoting your Page on world wind you can set location also which you promote Your Page. Boost post Button can help to fast engage the user to your post making ads you can boost your particular one post to engaging more people to read this post. Clicking boost shows the daily Budget option to choose all setting we discuss all off in that articles. Promote website Button can help you click on your site can display your site on their Ads. The user may click on ads and ads can redirect a user to your site this is just like a paid traffic it uses for increasing fast traffic on your site. Then clicks to page promotes Option. Gender Select Your Audience All , MEN or Woman its Depend your Product/content/articles/website which you are target .ex .you provide cloth jewellery so you can target women is the best target for that product or select ALL option to target both audiences I think its best. Age: Select age to which age group your website/product/content area target is help for facebook shorter the audience. Location: is the importance because your website India and you select another country targeting it not goods for your traffic. So select your target location area Country state. Interests: that is the one of the option to target user in this option you select your product or website are belong to which use just like category. 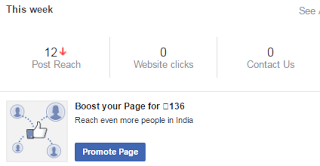 Daily Budget: in this option, you can choose your Daily promoting Budget, but a budget is required than Rs 40+ for per day promoting your Page it's deferent for promoting Website or Post. Duration: I that Option you can add you advertisement duration how many day you using this advertisement, duration has been base on you Budget also how many money you can pay for this advertisement. Buddy, your website is very simple to browse your pages and to find the required content. Good and keep it for long. I am a blogger of Digital Marketing Education and here, appreciating your efforts on FB advertising. If you are facing issues to uninstall your Trend Micro Antivirus in Windows 7, dial our Trend Micro Tech support Number 1-844-313-8282. Here you will get the trend micro antivirus support for the entire issues faced with this antivirus tool. We are available 24*7. QuickBooks Support, we offers a wide range of customer support services for QuickBooks Issues. We also assist you with QB tax and manage your financial records. Get the help whenever you need by dialing our QuickBooks Support Number 1-888-677-5770.